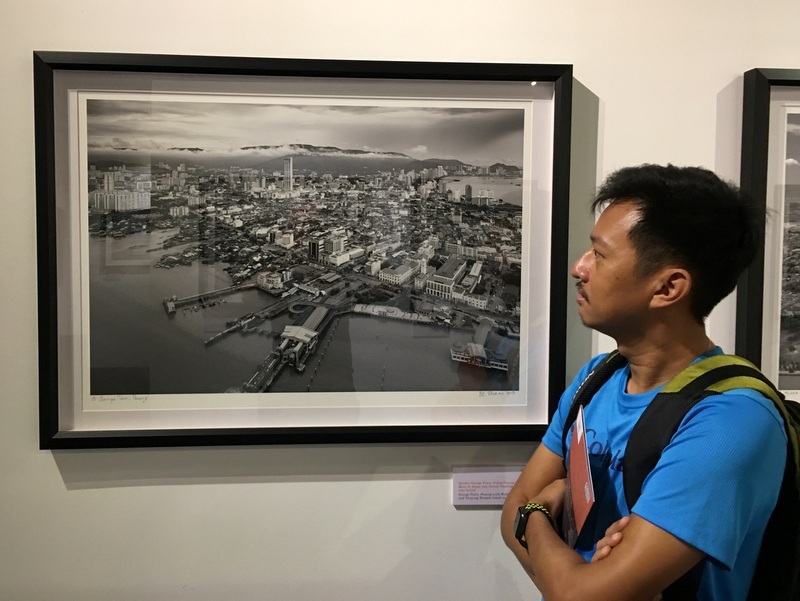 Under the same title he has published a 330-page photobook (5 kg, RM 800!) 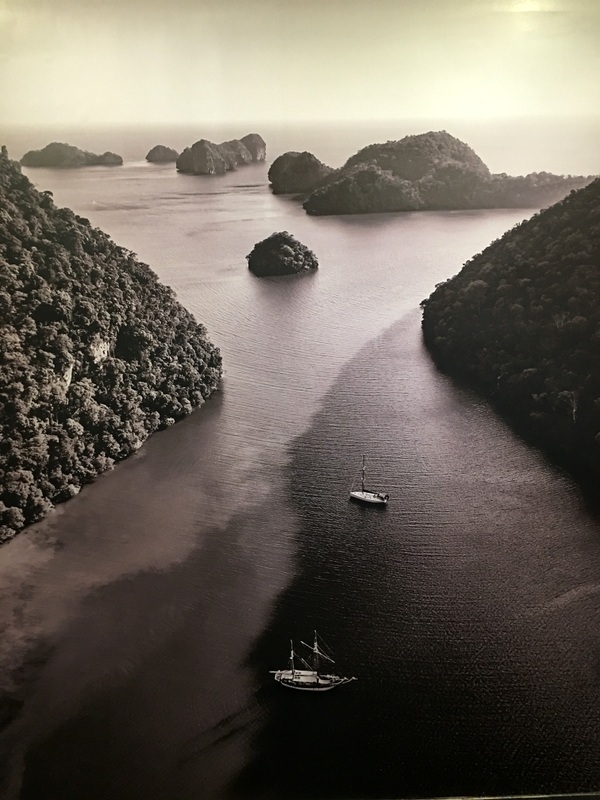 with black and white photos, covering all aspects of Malaysia. 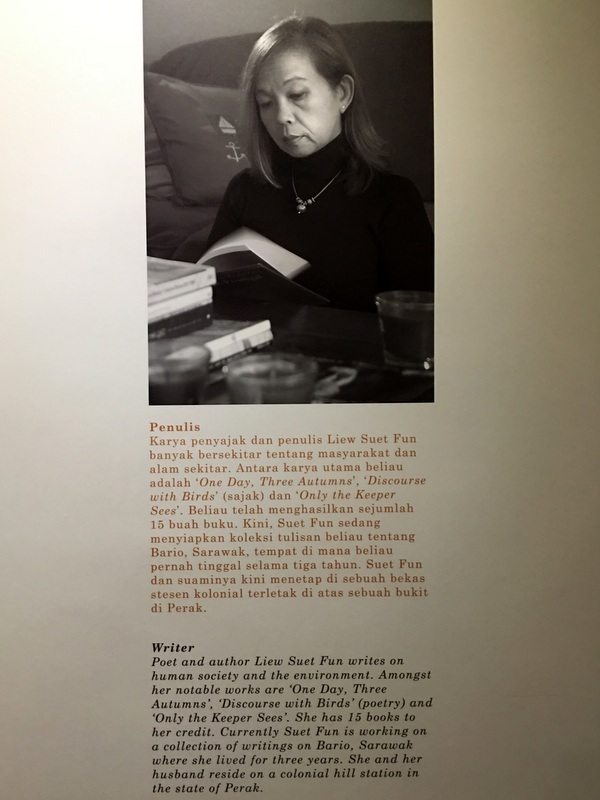 The text accompanying the photos has been written by our friend Suet Fun and that was one more reason to visit the exhibition. We decided to use public transport ..:-) The new MRT line connects the Curve shopping center with Central Market (near the OCBC building) and feeder bus 809 took us from near our condo to the MRT station. In less than 45 minutes we arrived at Central Market! From the MRT station it is a short walk to the OCBC building. 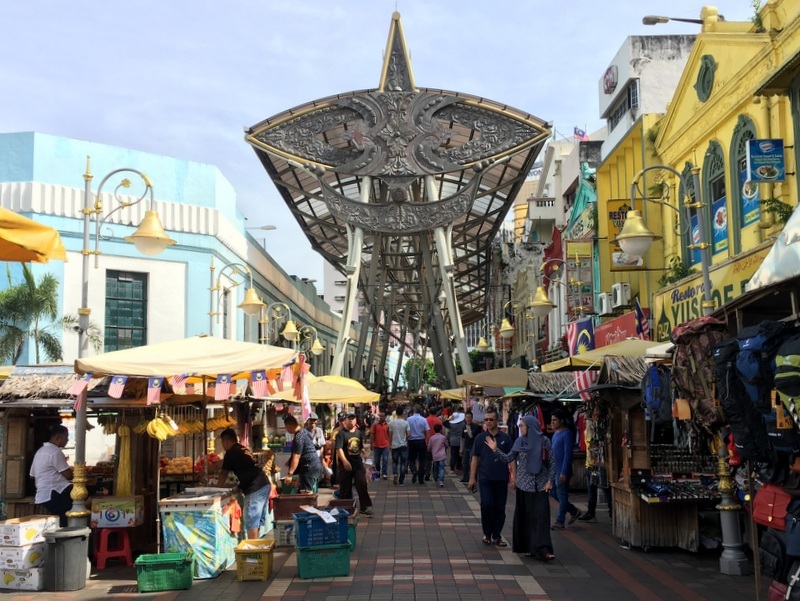 Beside Central Market a kind of up-market copy of Petaling Street has been created, full of tourists even on this Sunday morning. 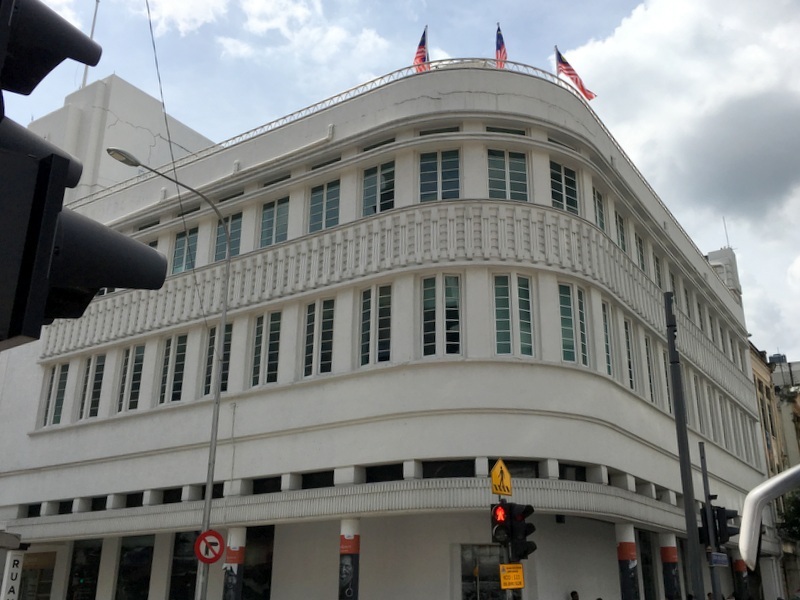 A big contrast with the austere beauty of the OCBC building (Art Deco, 1937, designed by Coltman) at the end of this gaudy street. The exhibition is open daily from 10 am until 8 pm (until 16 October) and admission is free. 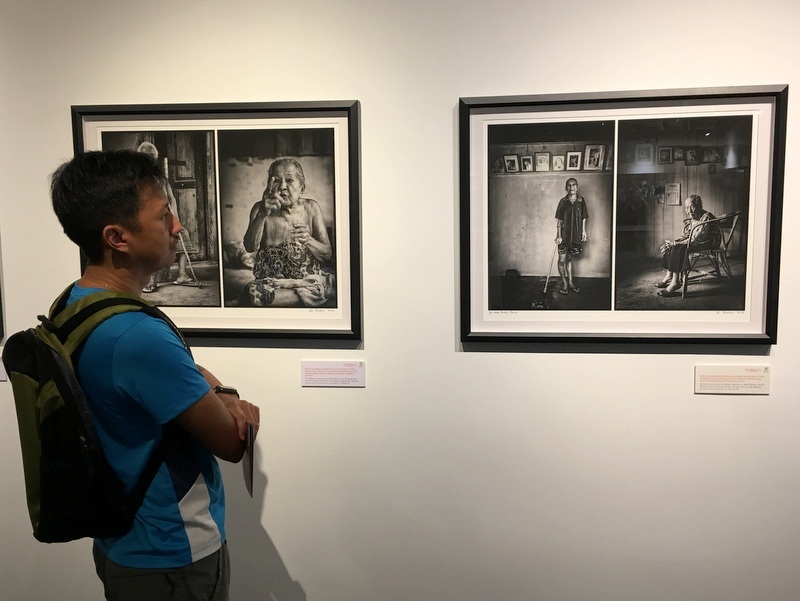 A selection of 50 photographs is shown in the exhibition. They are impressive and show many aspects of Malaysia, landscapes, people, culture. It was pleasantly quiet on this Sunday morning. Many of the nature photographs show aerial views. We were wondering if they were taken by a drone, but at the reception they told us that a helicopter was used. 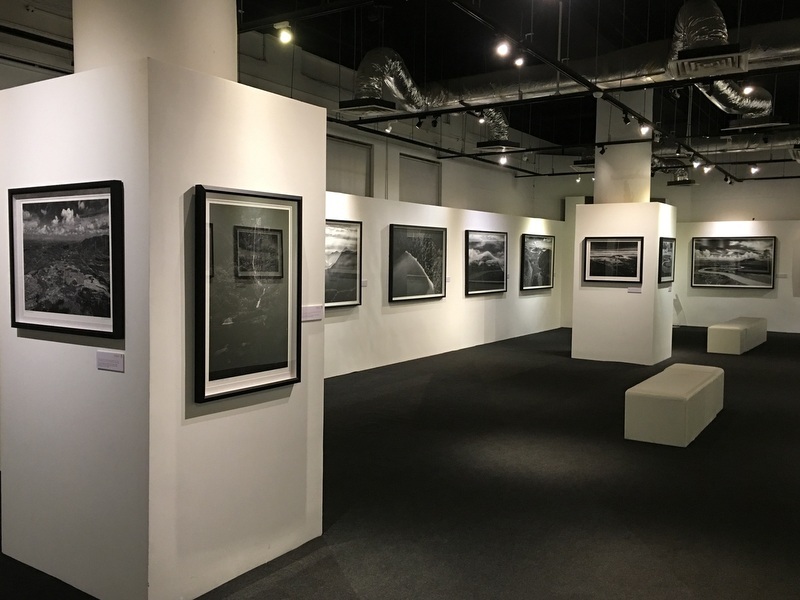 It is a very attractive exhibition, showing the power of monochrome photography in the hands of a gifted photographer. 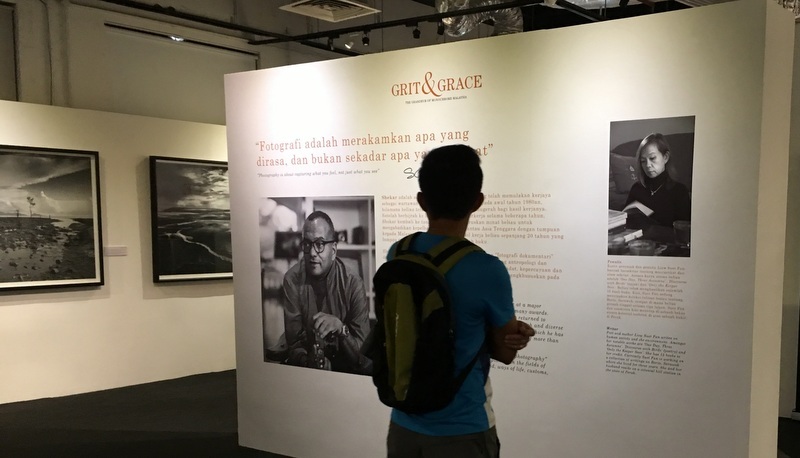 If you have a chance, visit the exhibition. The exhibition will also go on a roadshow to different regions of the country in the first half of 2018. On our way back to the MRT station, I could not resist the temptation to take a few pictures :-). See my report KL Heritage for more. 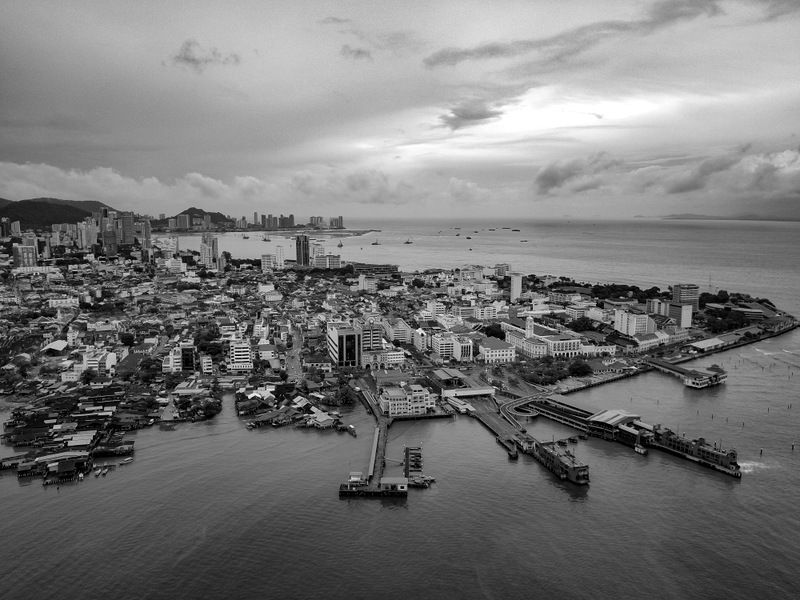 This entry was posted in Culture, Malaysia by janstu. Bookmark the permalink.